Exhibit - YOU ARE HERE. 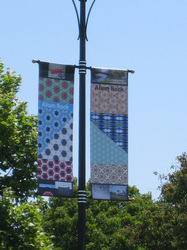 ALUM ROCK AVENUE student collaborative street banners. 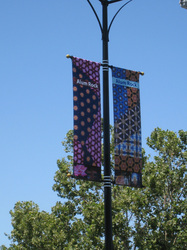 Banners installed on July 15, 2011. 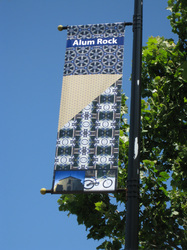 Official Unveiling Celebration on Alum Rock Avenue on August 13th, 2011 from 11:00am to 12:00pm at 3131 Alum Rock Avenue between White and Manning. 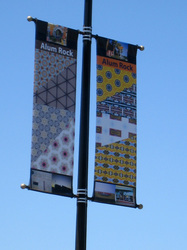 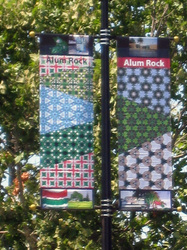 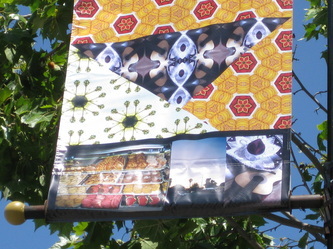 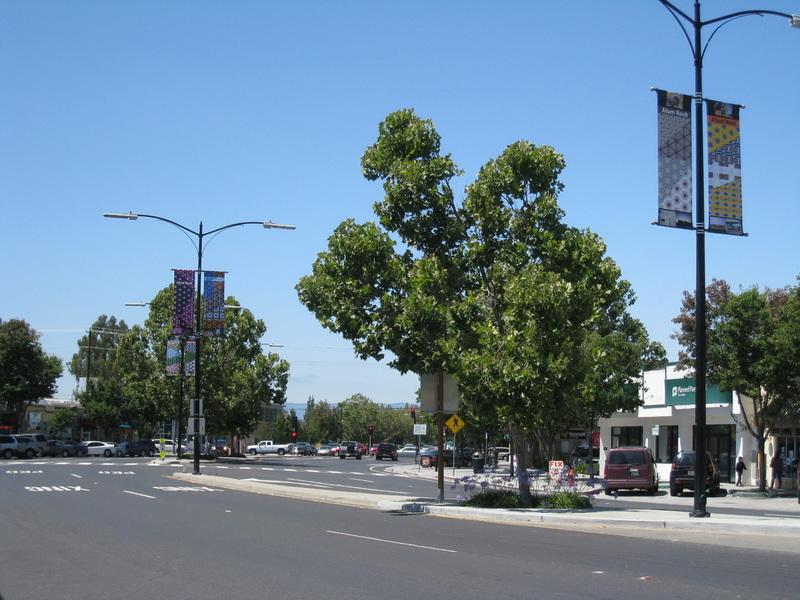 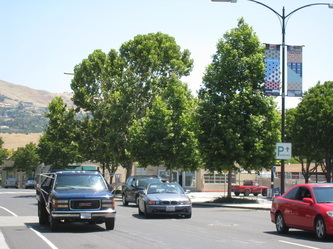 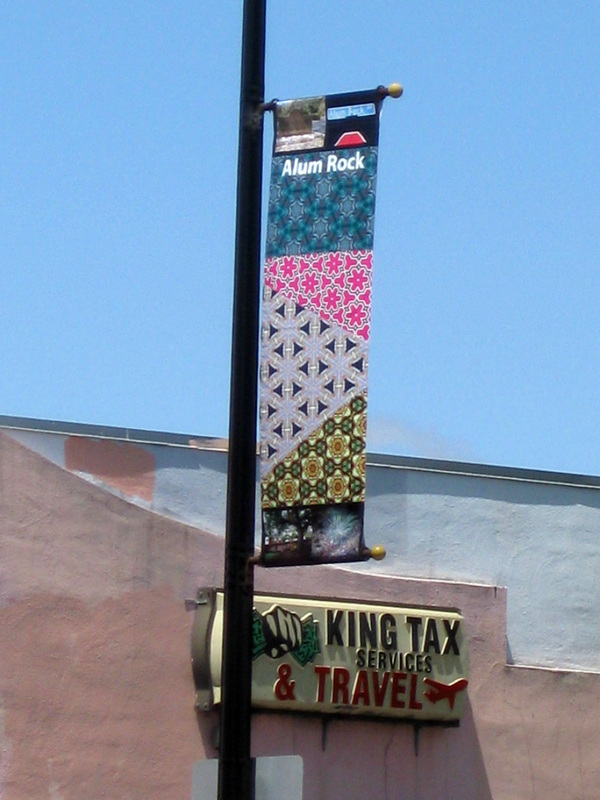 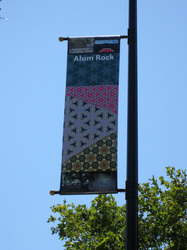 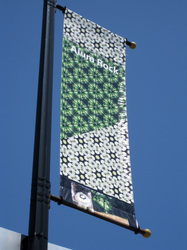 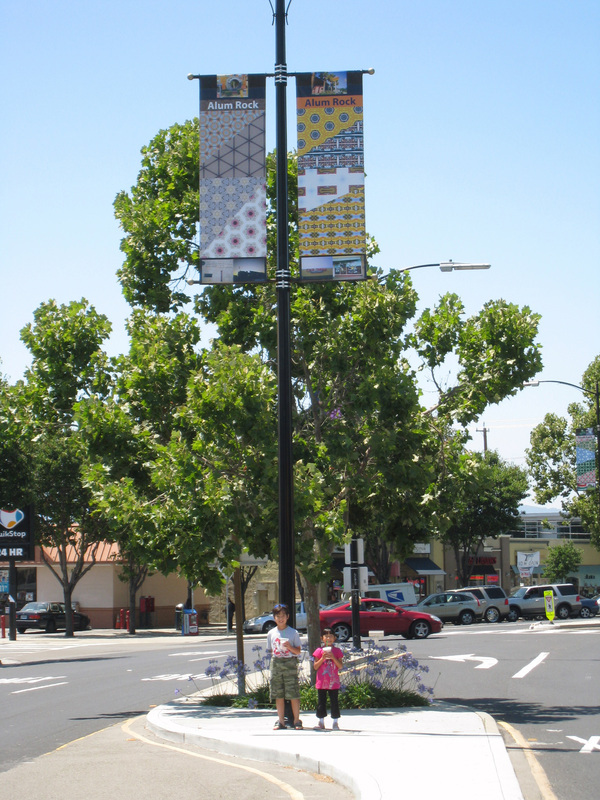 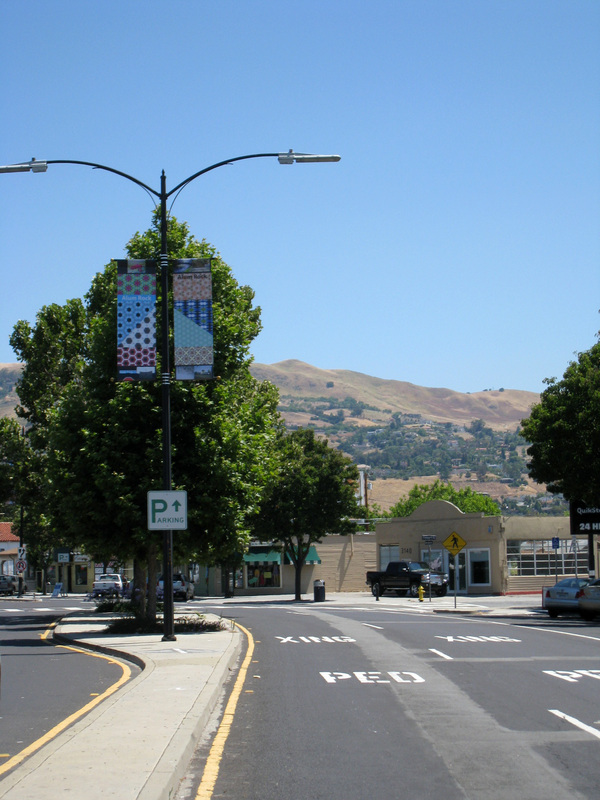 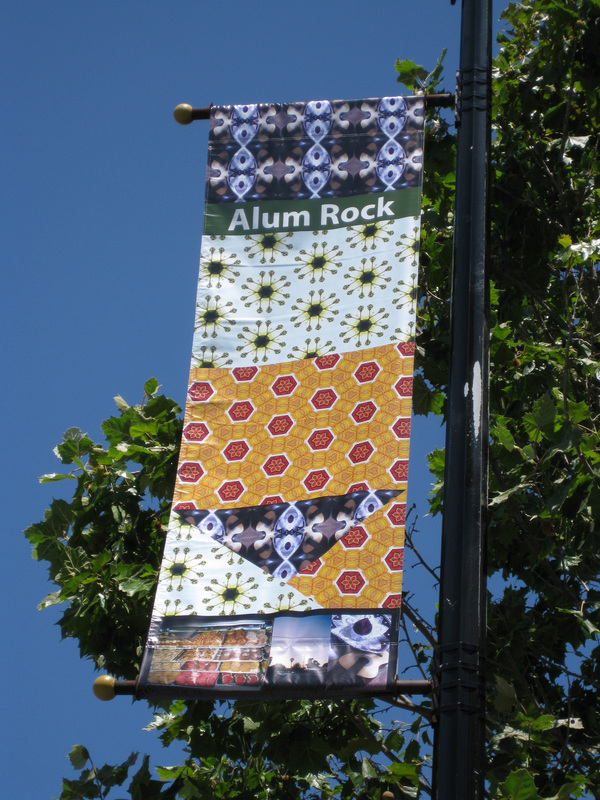 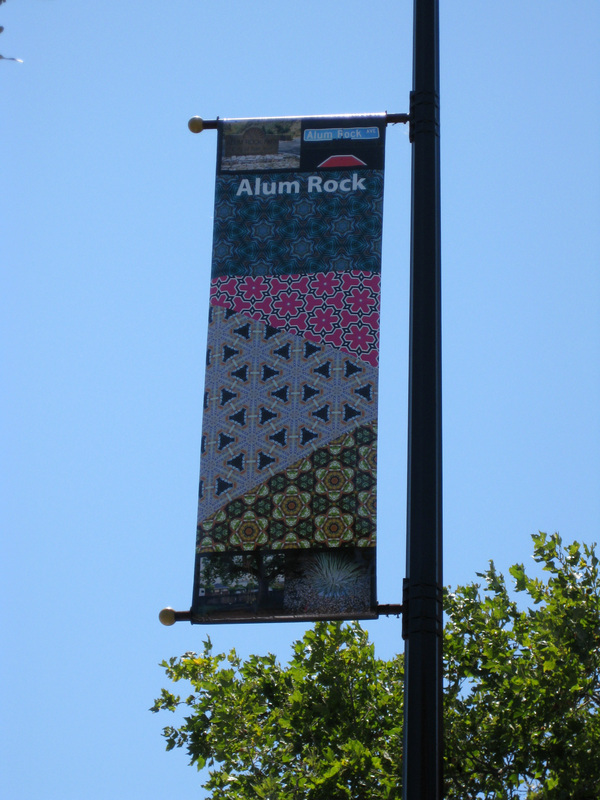 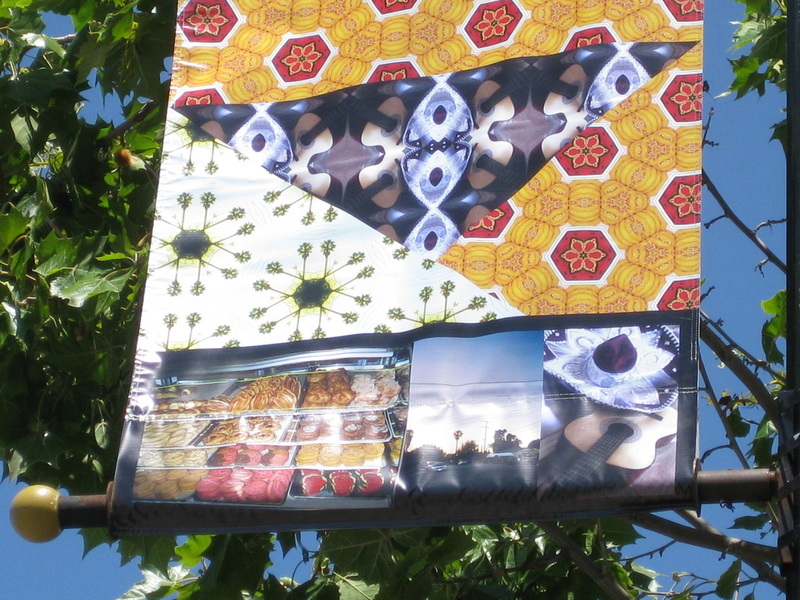 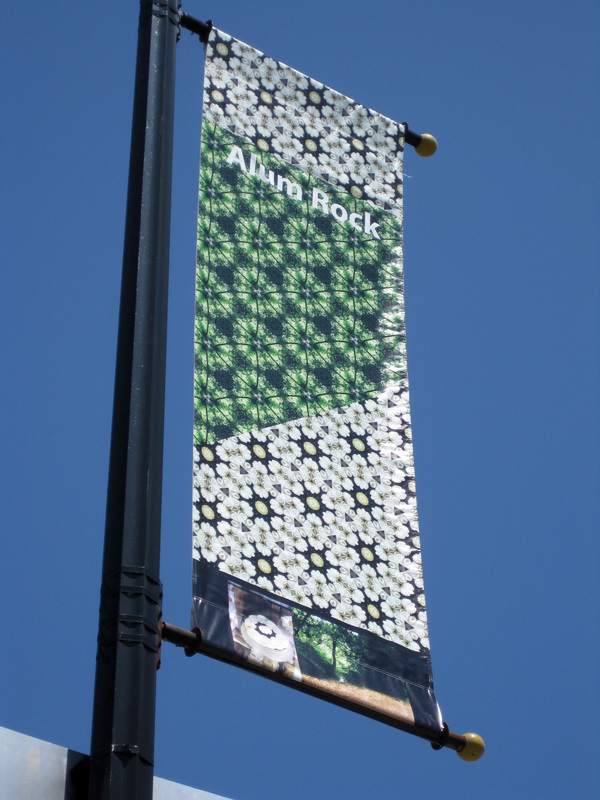 Below: some of the banners installed in White/Manning section and Mexican Heritage Plaza section of Alum Rock Avenue. Krause Center for Innovation Art Gallery Installation, Foothill College, Los Altos, CA. 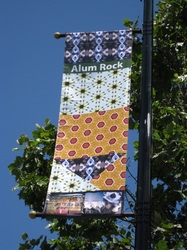 Student textile and banner exhibition October 18th -November 18th, 2011. 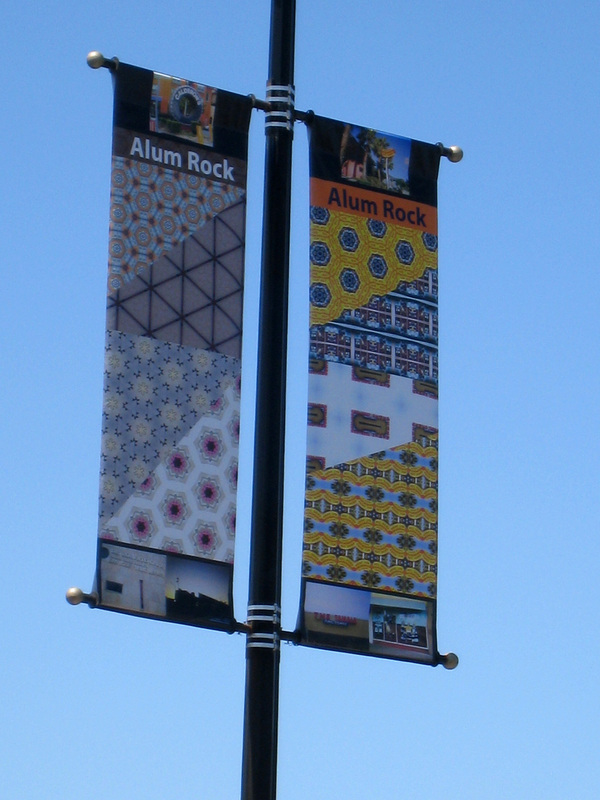 It will be wonderful to bring students here to see their own work installed and celebrated in a college setting and for students to begin to envision college as part of their path. 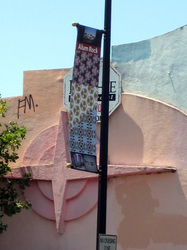 Images of installation here. 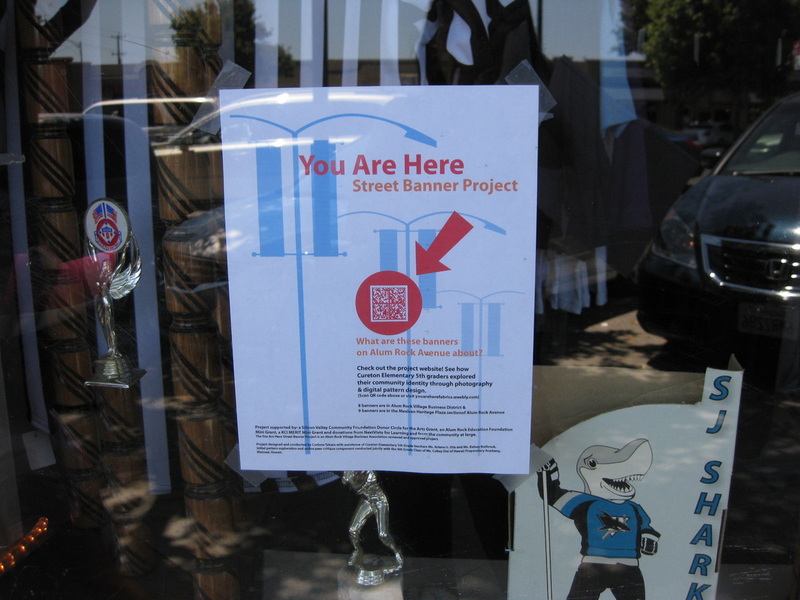 Below: Flier created to engage public in visiting project website to learn more about the student thoughts and the process of the project. The QR code links to the webpage containing student explanations of how imagery represents community. 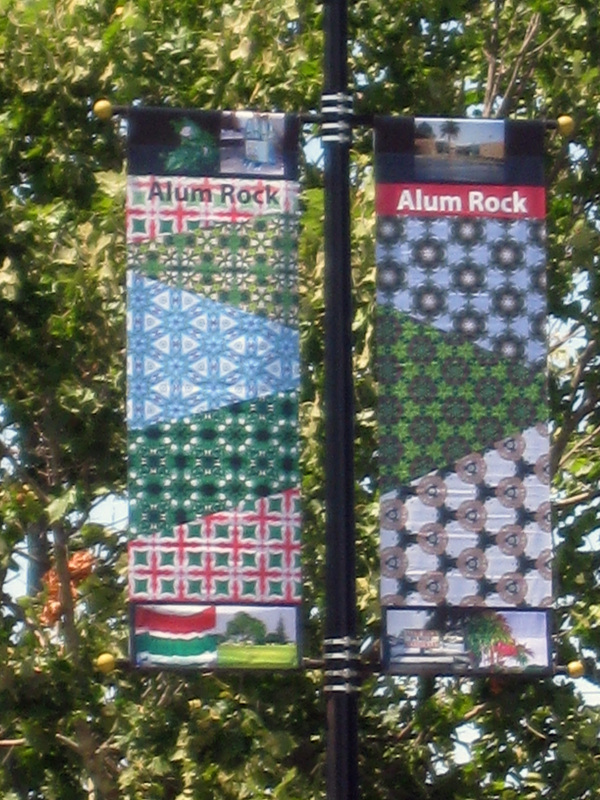 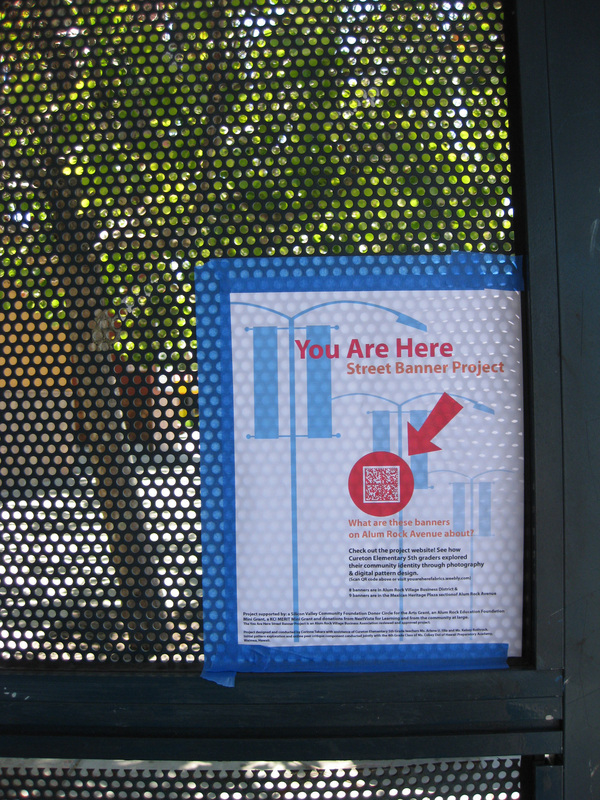 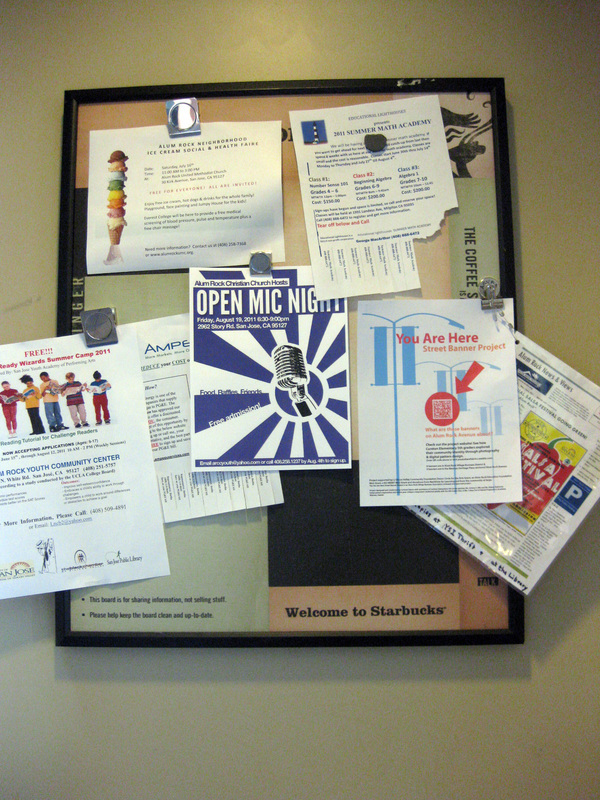 Below: A few of the QR posters posted along Alum Rock Avenue. Below: Banners printed and picked up at InPrintz in Sunnyvale, CA.